“Miss Billie Holiday is one of America’s greatest treasures. I want to thank First Lady Chirlane McCray and Former Deputy Mayor Alicia Glen for honoring her. Musically she influenced almost every singer of jazz and popular music including Frank Sinatra. Ms. Holiday was not one to shy away from controversy, brilliantly singing Strange Fruit a song written about the horrific lynchings in the South. Lady Day will always be remembered for integrating white swing bands and taking a stand against racism in America. She deserves a place in history!” said Robin Bell-Steven, Director of Jazzmobile. 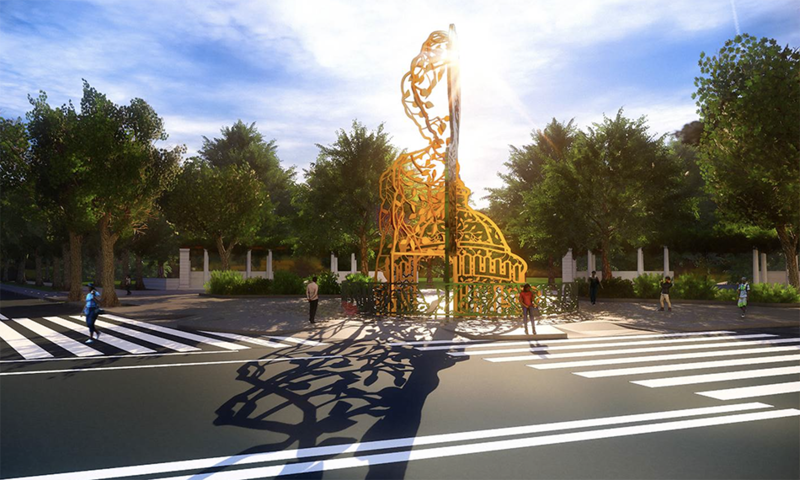 The four new monuments will be commissioned through the Department of Cultural Affairs’ Percent for Art process, which requires that one percent of the budget for eligible City-funded construction projects be spent on public artwork. This inclusive process builds community engagement and input into the artist selection and artwork design process. 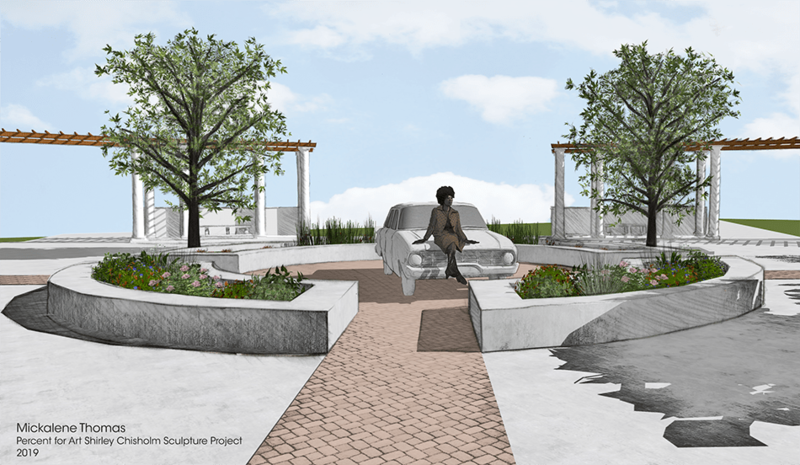 The construction of these monuments will be funded through the $10 million the Department of Cultural Affairs has committed over the next four years to commissioning new permanent public monuments and commemorations. 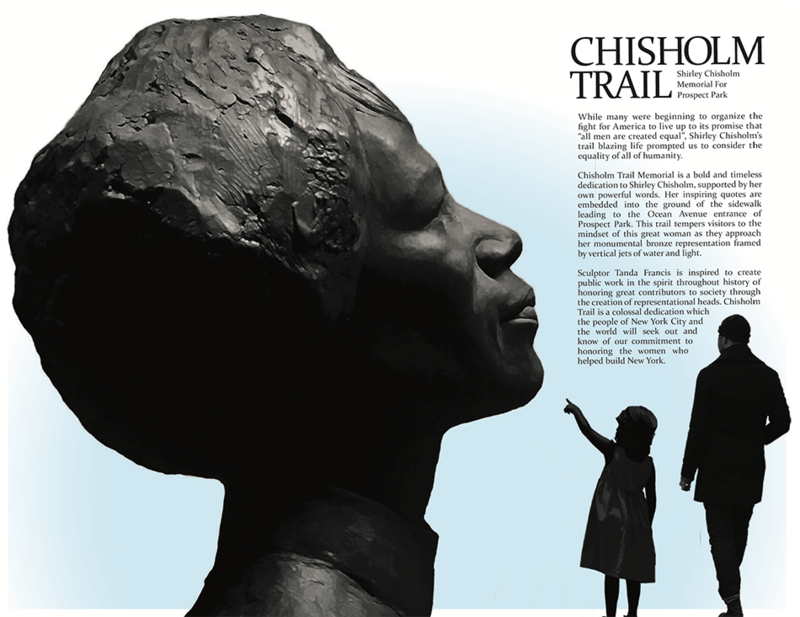 Below are monuments dedicated to women currently found in our parks and public places. 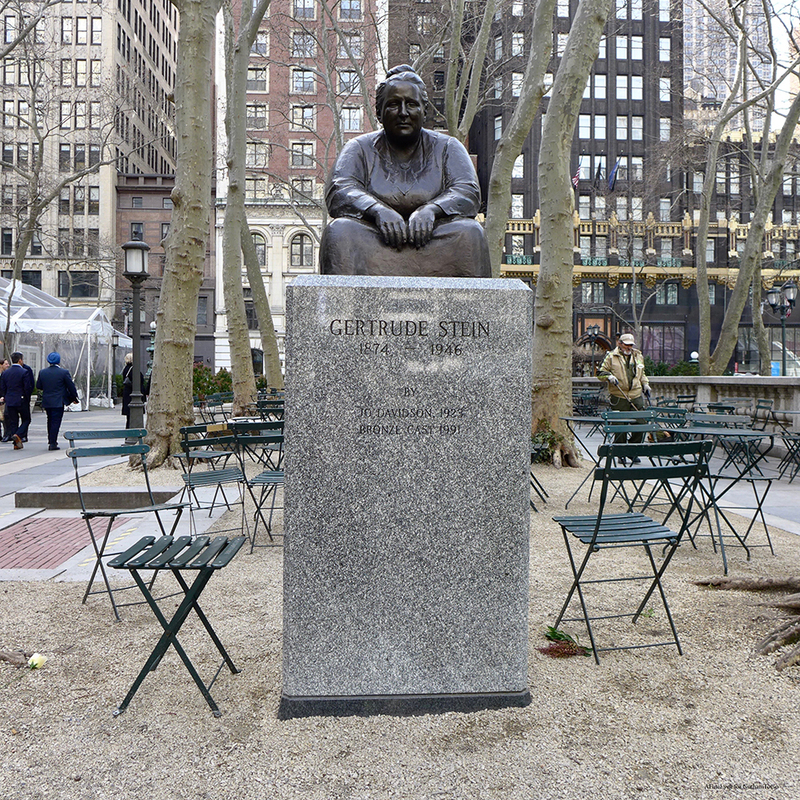 A monument to Gertrude Stein was installed in Bryant Park, right behind the New York Public Library, in 1992. Its placement reflects Stein’s significant literary contributions. The seated bronze figure on a pedestal was created by sculptor artist Jo Davidson. The monument is one of five sculptures in this park. 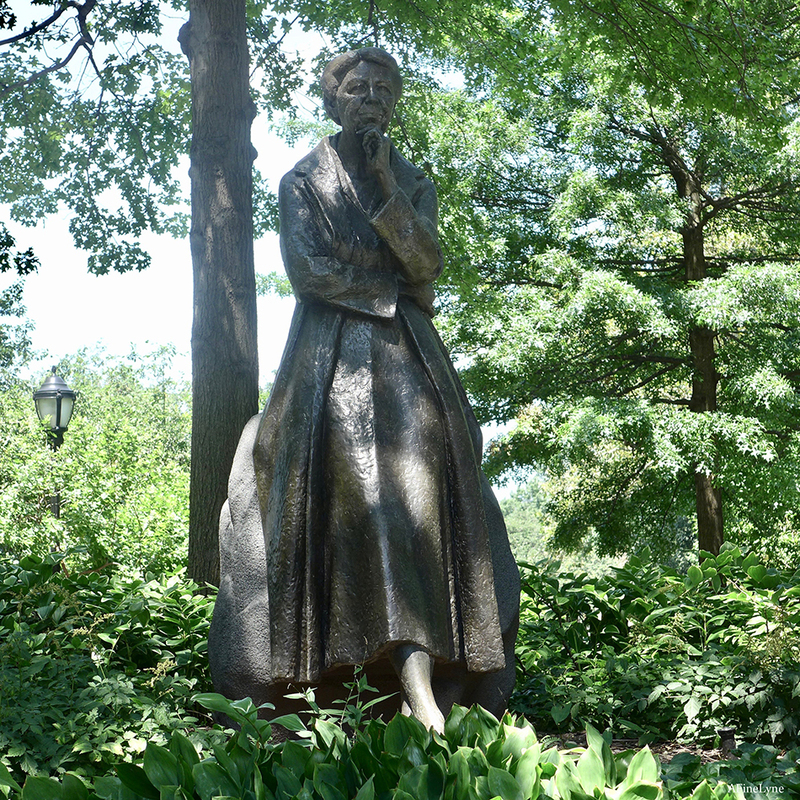 A monument to Eleanor Roosevelt stands in Riverside Park at 72nd Street and Riverside Drive. The bronze figure appears to be half-seated against a boulder. It was created by sculptor artist Penelope Jencks; the boulder and foot stone created by Michael Middleton. In 1984, a bronze sculpture of Gold Meir was unveiled in the Garment District. 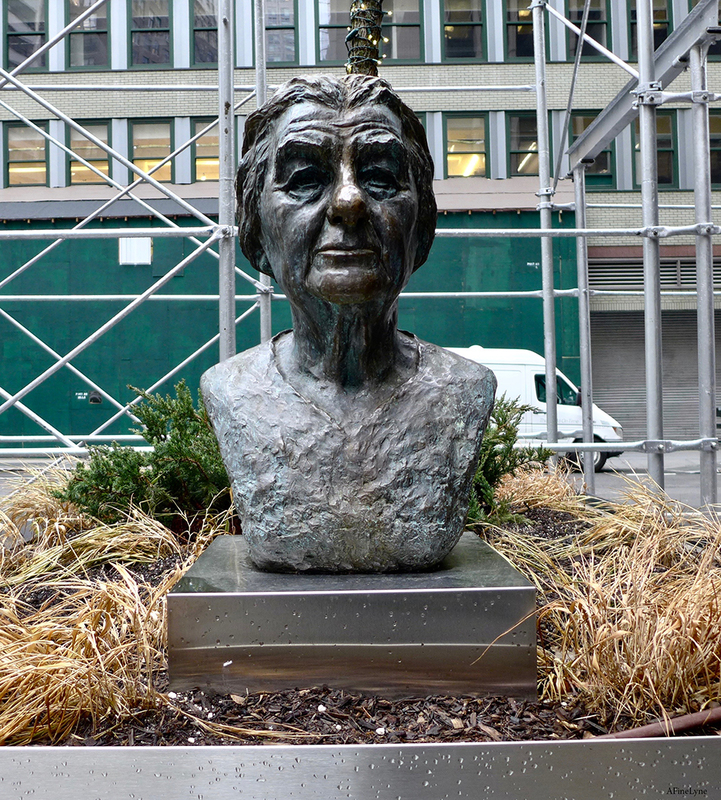 It was created by Philadelphia artist Beatrice Goldfine, commissioned by the JCC and the Golda Meir Memorial Committee, and is situated at Golda Meir Square, Broadway at East 39th Street. 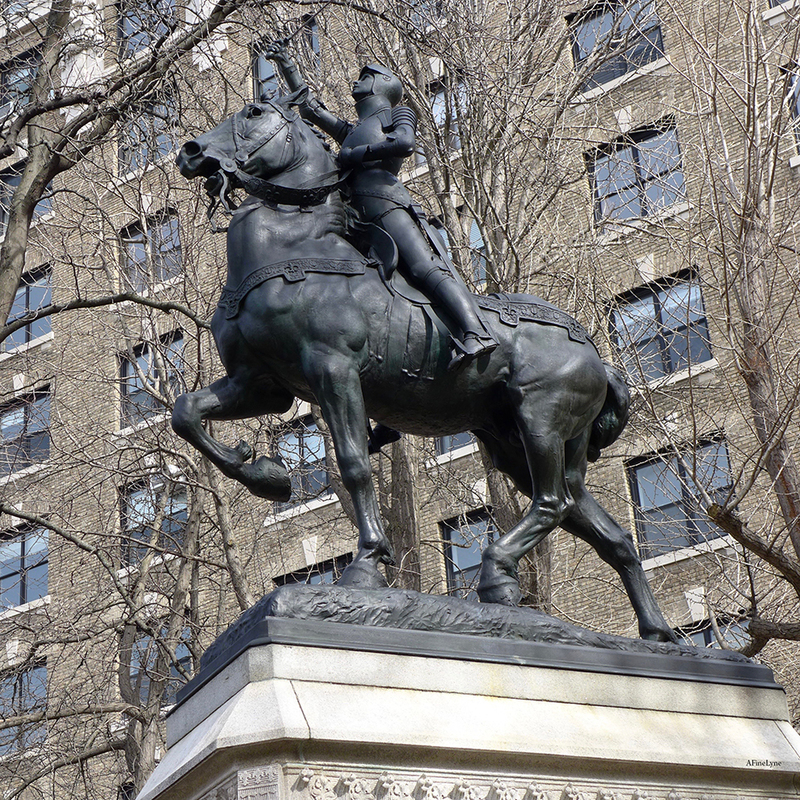 A bronze monument to Joan of Arc sits high on a pedestal on 93rd Street and Riverside Drive. Dedicated in 1915, it was the creation of the eminent artist and art patron, Anna Vaughn Hyatt Huntington. 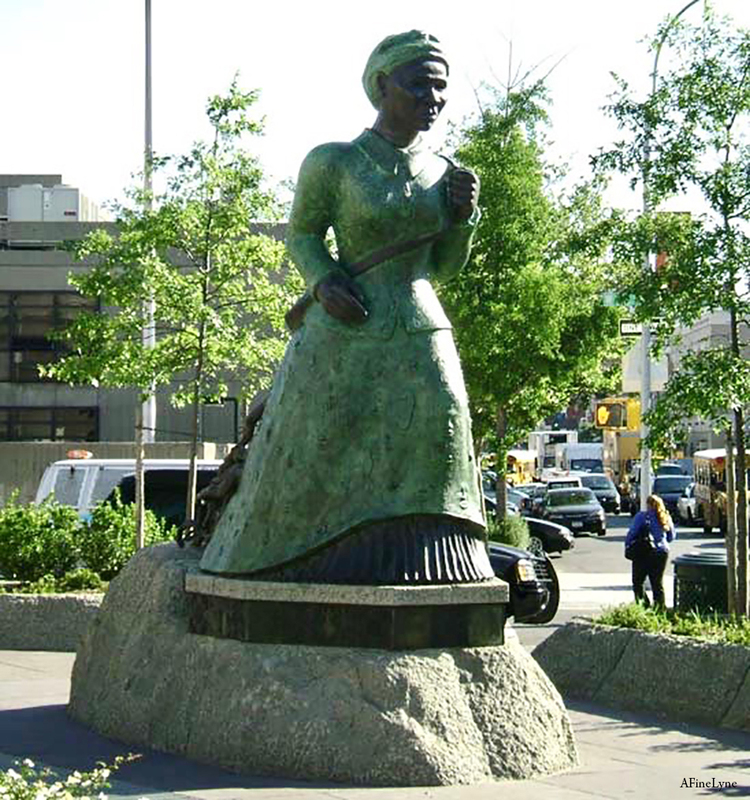 The sculpture, Swing Low, Harriet Tubman is located at the intersection of St. Nicholas Avenue and Frederick Douglass Boulevard at 122nd Street in Harlem. It was created by sculptor Alison Saar as a Percent for Art installation, dedicated in 2008. This fountain honors children’s book author Frances Eliza Hodgson Burnett. 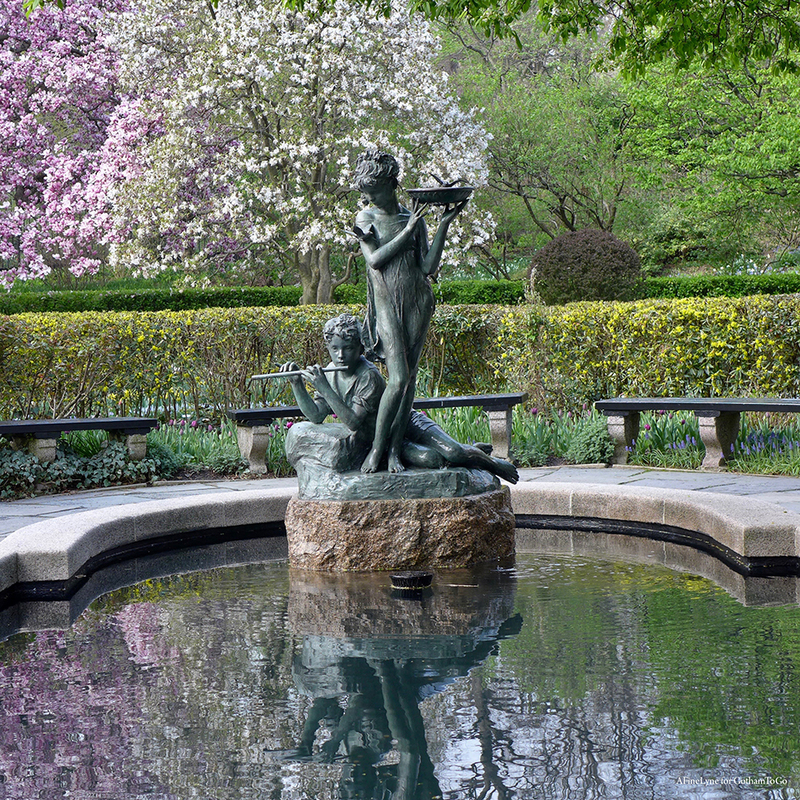 It is located in The Conservatory Garden of Central Park. 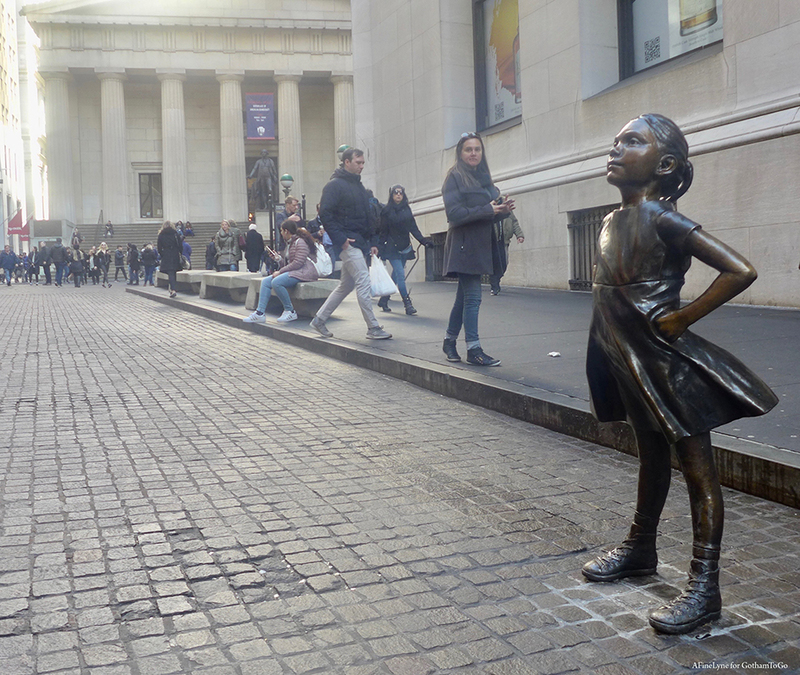 A bronze sculpture entitled Fearless Girl, created by sculpture artist Kristen Visbal and commissioned by State Street Global Advisors, recently made her move ~ original installed facing Charging Bull, now located on Wall Street near the New York Stock Exchange, in view of Federal Hall (visible in the background in image above). 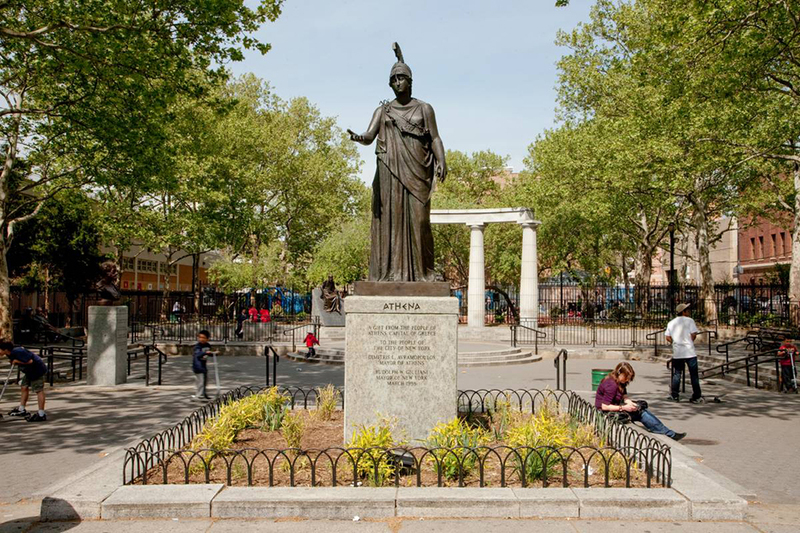 A standing figure of The Goddess Athena on a pedestal is located in Athens Square Park, 30th Street and 30th Avenue in Astoria, Queens, dedicated in 1998. (Included in New York Talking Statues). 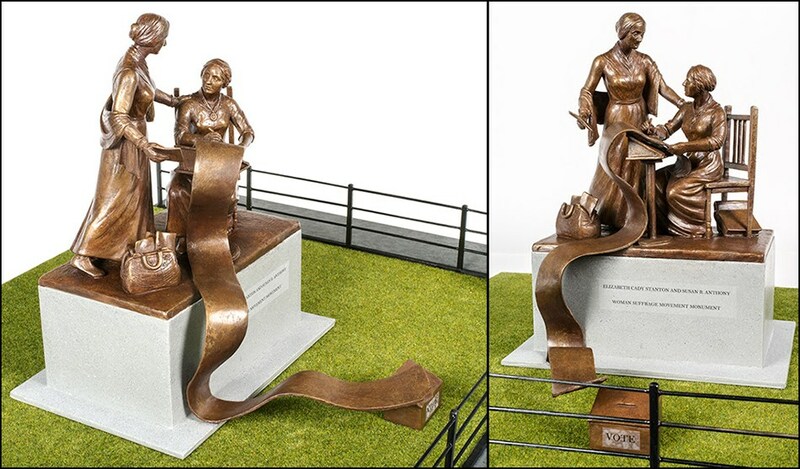 The Elizabeth Cady Stanton and Susan B. Anthony Statue Fund, Inc. (The Statue Fund) has commissioned and endowed a monument honoring Elizabeth Cady Stanton and Susan B. Anthony by artist Meredith Bergmann. 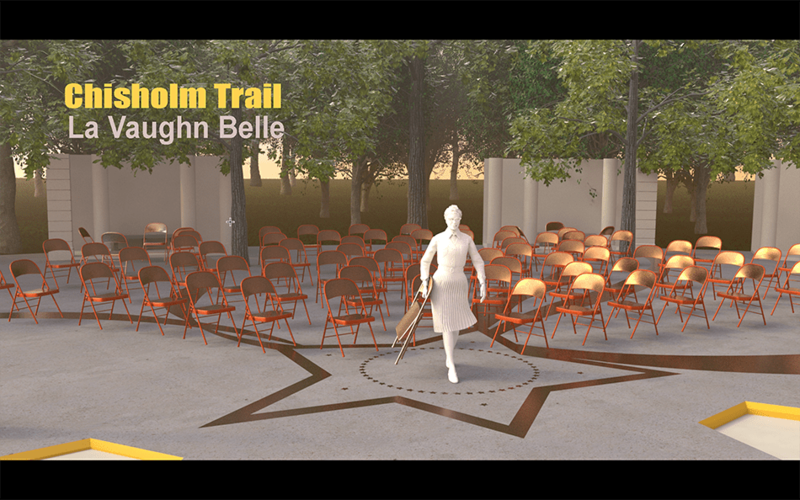 The Monument will be placed on the Literary Walk in Central Park in 2020. Check out #MonumentalWomen for updates. 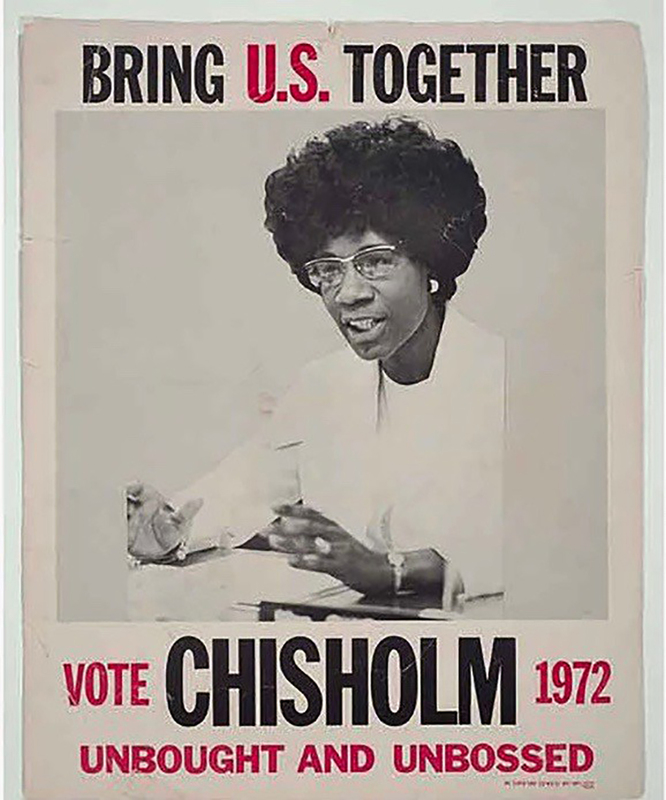 A monument celebrating Shirley Chisholm, the first black woman to serve in the House of Representatives, is coming to Prospect Park in 2020. It will be placed outside the Parkside entrance, located at the intersections of Parkside and Ocean Avenues. 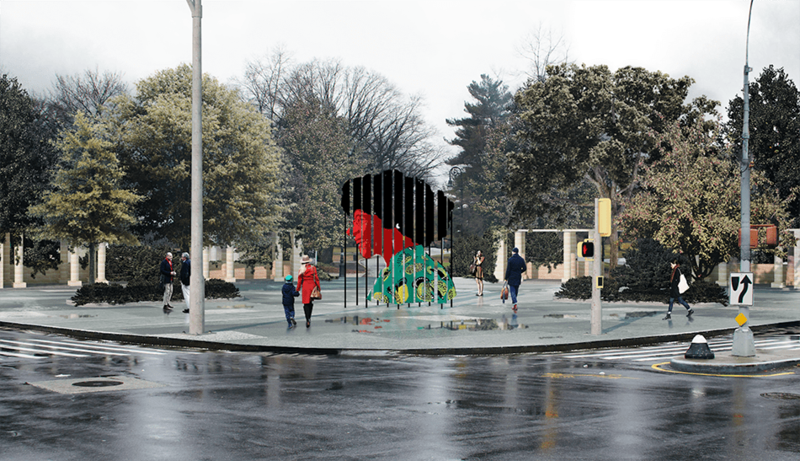 It will be built by She Built NYC, a city effort to expand representation of women in public art and monuments. Check out the five final design proposals unveiled by the NYC Department of Cultural Affairs, Percent for Art program, along with statements from the artists. Anticipated completion is the end of 2020. The Statue of Liberty ~ Enlightening the World was a gift of friendship from the people of France to the United States, dedicated in 1886. It was designated as a National Monument in 1924 and is part of the National Park Service. 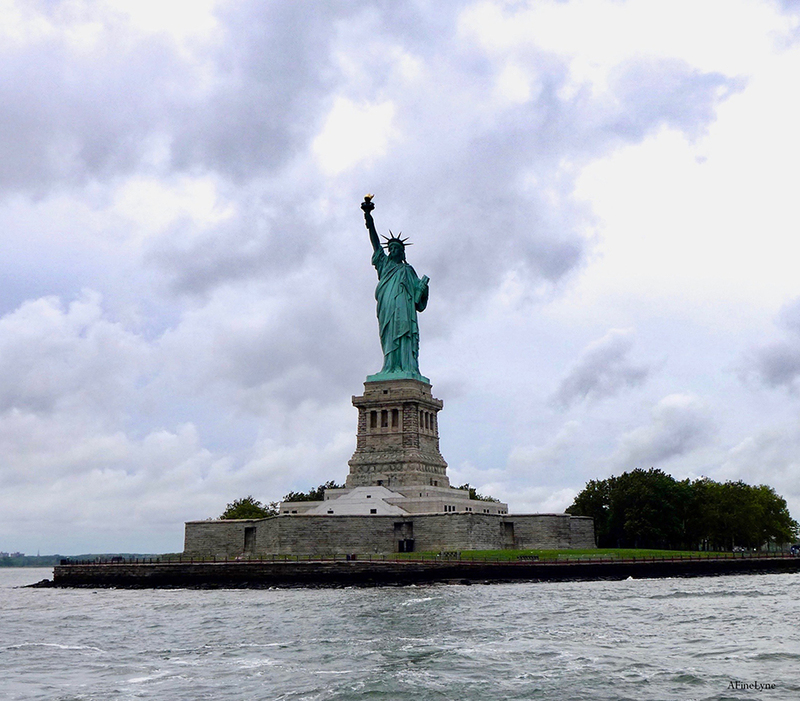 The copper statue was designed by French sculptor Frédéric Auguste Bartholdi. 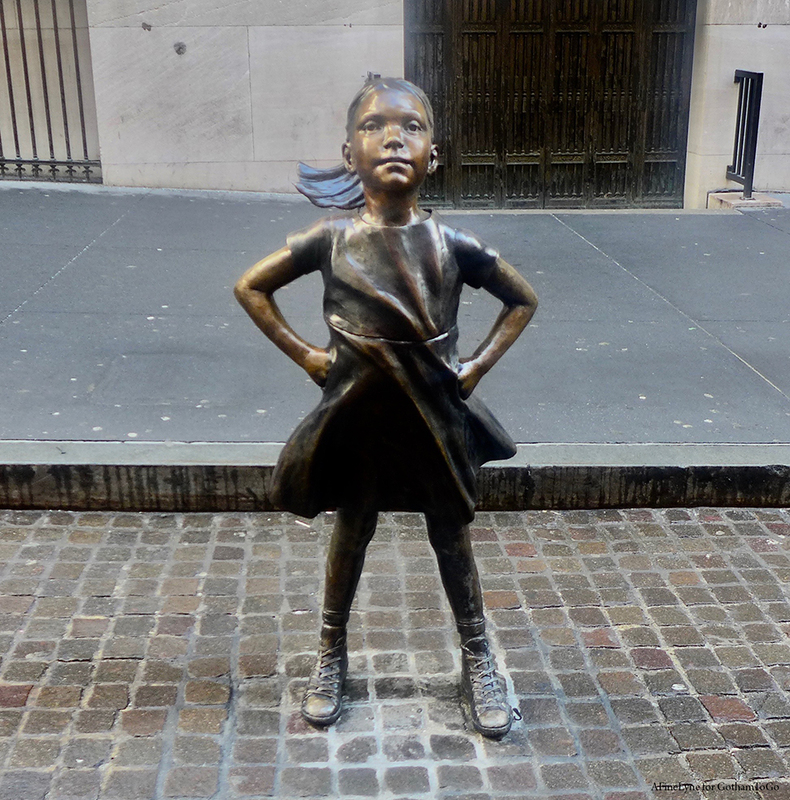 Check out The New York Talking Statues Project here.